Legend has it that Ernest Hemingway was once challenged to write a story in only six words. His response? “For sale: baby shoes, never worn.” Larry Smith, founder of SMITH Magazine, gave the six-word novel a personal twist by asking his community to describe their lives in exactly six words. 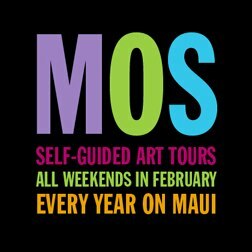 Hui No‘eau is thrilled to collaborate with Larry Smith to bring Six-Word Memoirs to Maui, combining the written word with visual arts in this exciting and dynamic exhibition.